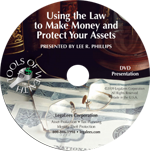 To keep the legal sharks from piercing your corporate shield, you need to be able to demonstrate that you have treated your company like a real business. In order to convince the judge, when you are sued, that you have treated your company like a real business, there are certain “formalities” or functions that you should have done in your ocmpany. There are lots of things that the judge will look at, and other than a couple of total no-no’s (commingling money), the weight of the evidence will tip the scales in your favor. The last four items in my formalities checklist are standard things your business needs to pay attention to. 24. Does your LLC have an actual physical address, and the cancelled checks to prove it? In order to file Articles of Organization, you must have a physical address in the state where you are registering so that if the state needs to serve a warrant for a lawsuit, there is a place the sheriff can deliver it to. Having cancelled checks for the business or bills for the business sent to that address makes a strong case that the address is in fact used for business. Yes, it could be your home address as well, but there needs to be an address where the business gets mail. 25. Does your LLC have a phone in its own name, and cancelled checks and statements to prove it? Having a registered business phone number goes a long way towards establishing that your business is not just your alter ego. More and more startups use the owner’s cell phone and have employees use their personal cell phones for business calls. A real business will have a phone dedicated to the business. Associated with my office is an accountant/tax planner who is an IRS former special auditor (Ben Rucker). He has one cell for personal stuff and one for business. The question in court will be, “Do you keep your business life separate from your personal life?” If you don’t, your business may be determined by the court to be your alter ego. 26. 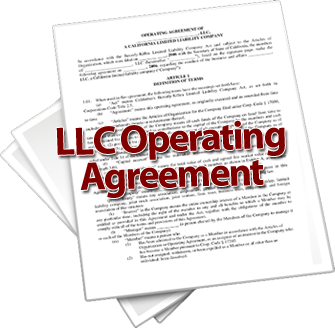 Does your LLC have its own business license? Your local government will probably require you to get a business license, if you’re really in business. This may present a problem if you are running your business out of your house and your house is not zoned for business. Many home businesses don’t get a license, even though they are technically required to. If your business has a business license, it goes a long way to showing a court that your business is a real business and not just your alter ego. If you do enough of the formalities looked at by the court, the scales will tip in your favor and the judge will protect you and your personal assets when somebody attacks your company and tries to come after you personally. 27. Does your LLC have its own bank account? One way a corporate veil can be pierced, especially for a new company, is to show that the company (corporation or LLC) was not funded properly. Companies start on shoestring budgets, but there needs to be enough capital to at least give the company a chance of success. You need a bank account to show that the business has sufficient funds for operation, and that money tied to the business moves in and out of its own account–NOT your personal account. Having separate bank accounts for your personal expenses and your business expenses makes it a lot easier to show the court that you are not commingling money. Commingling money is a cardinal sin. It almost always results in the loss of your corporate shield protection, so it is a big deal. So far I cannot get an answer to this question from the bank. How can I leave someone in charge of my Business LLC bank account? Since it is not a person, it is an entity and cannot die therefore it cannot have beneficiaries. A notarized operating agreement? Does the person left in charge have to be an LLC member? How do I word and sign the operating agreement since the managing member of my LLC is my Corporation and the member of the Corporation is our Family Trust. The operating agreement will be signed by you as the trustee and you as manager. The LLC Bank account is an asset of the LLC. When a new trustee is put in charge of the trust, they will become the owner of the LLC and will have the power to control the LLC bank account. It is just a matter of showing the bank that the person controlling the LLC has changed and so the control of the bank account has changed as well.